Providing you the best range of overhead line aluminium conductor, all aluminium conductors, all alloy aluminium conductors and steel reinforced aluminium conductor with effective & timely delivery. 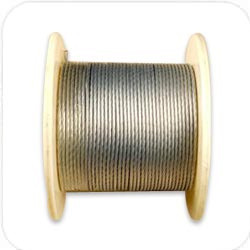 Riding on unfathomable volumes of industrial expertise, we are engaged in offering an excellent assortment of Overhead Line Aluminium Conductor. These products are manufactured by our reliable vendors using premium quality material and sophisticated technology. Clients can avail the entire range in various specifications that can be also easily customized as per the specific need of our respectable clients. Our domain expertise has enabled us to offer an excellent collection of All Aluminium Conductors. At the vendors' end, offered products are manufactured using premium quality aluminium and advanced technology. After procurement, our quality controllers check these products on stringent parameters for ensuring their compliance with the defined industry norms. In addition to this, our esteemed clients can avail these conductors from us in various customized options. With assistance from highly qualified and experienced professionals, we are engaged in offering a huge gamut of All Alloy Aluminium Conductors. These products are manufactured by our vendors using high grade aluminium and cutting edge technology. Further, these are stringently checked under the supervision of our vendors on various quality parameters set by the industry. In order to fulfill variegated demands of clients, these products are made available in customized options. 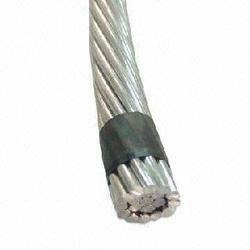 Using the best grade material, we are successfully manufacturing and supplying a wide gamut of Steel Reinforced Aluminium Conductor. Used for river crossing, offered products are stringently examined under the supervision of our reliable vendors against the exquisite parameters of quality to ensure a hassle free range to our clients. In order to this, these are highly demanded in the market for their excellent quality features. 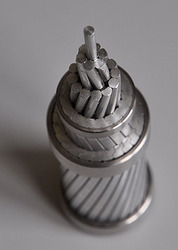 Looking for Aluminium Conductors ?